Meg Murray is a connector, passionate community builder, wine industry expert and entrepreneur. 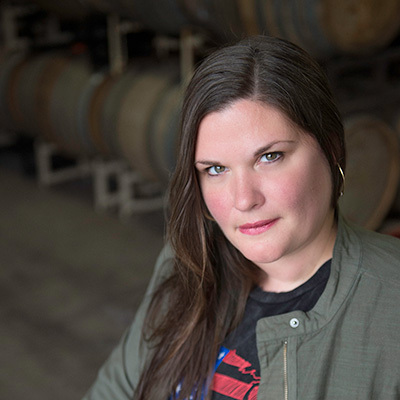 She is the founder of NASTY WOMAN WINES, a progressive wine brand that produces unapologetically tasty wines and donates 20% of net profits to help get more women to the table in policy and leadership. Meg co-owns élevage consulting and helps wineries and wine-related businesses make, market, and move their product. She consults on sales and marketing and brokers bulk wine. She cofounded PROJECT M Wines out of Oregon’s Willamette Valley with her husband, winemaker Jerry Murray. Meg has been working with wine since 2003. She holds certificates in both wine business management and wine industry finance & accounting from Sonoma State University, in addition to a Wine Fundamentals I and II certificate from the International Sommelier Guild. Meg has a B.A. in international studies from Portland State University. She resides in McMinnville with her family.